Paul Bérenger says he will temporarily leave the scene. First time in more than 40 years. Mauritian historic Opposition Leader Paul Bérenger diagnosed with an early stage throat cancer. During his extraordinary private press Conference, today 23rd of January 2013, Mauritian Opposition Leader Paul Bérenger, 68, publicly admitted that he has been diagnosed with an early stage throat cancer. Referring to Presidents Ronald Reagan and Zimbabwean N’Komo, he tried to minimize, the impact of the announcement. The news however, came to the nation as a shock at around 11:15, and many messages of sympathy flooded the local social networks and from politicians from all sides. Born in 1945, Paul Raymond Bérenger is an historic founding leader of the MMM with Dev Veerasawmy and the Jeerubarkhan brothers, in 1969. He never left this position ever since. He has been the only Non-Hindu Prime Minister of Mauritius from 2003 to 2005 and in 2007, Deputy Prime Minister between 1995 and 1997 and again from 2000 to 2003. He also held other ministerial positions in 1982 and in 1991. The rest of the time he stood mostly as Leader of the Opposition. Under his uncontested leadership, the MMM (Mouvement Militant Mauricien), was on the forefront of major social struggles that transformed the Mauritian Nation. 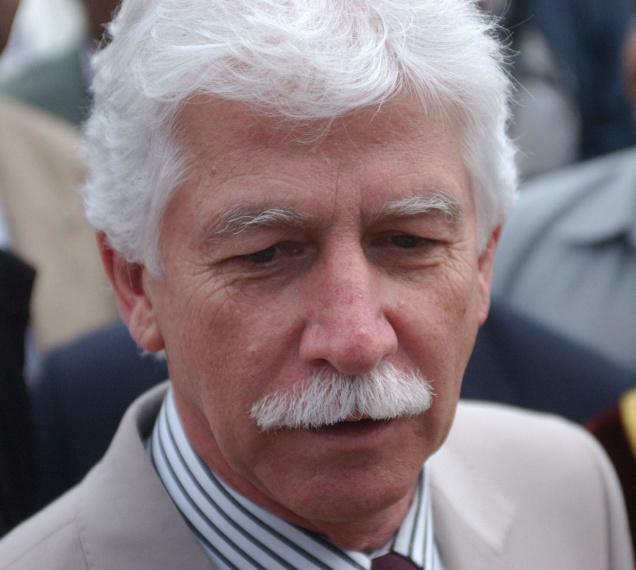 Paul Bérenger is known to have led determining strikes in the port during the 70s and the massive 1975 Student strike. The MMM which was a huge political alternative for Mauritius, has always received more than 40% of direct votes but could never hold power due to wobbly coalitions. What was felt as a new hope towards non-communal politics and government, unfortunately became thinner by the years, especially with ideological divergence and departure of some key thinkers and influencers. Bérenger’s 3-month-at-least medical retreat comes at a very inappropriate moment. With parliament reconvening on the 26th of March 2013 and a heavy load of Private Notice Questions around recent Gooljaury/Soornack scam and its ramifications. Public and insiders’ general opinion is that substitute Alan Gannoo might not be up to the job and that the Opposition is at its lowest. The absence of Paul Raymond Bérenger from the Mauritian political scene will be indisputably felt and some intestine wars within the MMM should not be scraped out. Shutterbug Awards runner-up Aussie Artist Deb Morris, bought her first camera at 14. More than 30 years later, she pioneers Micro Wave photography to produce stunning impressions of crashing, breaking, tunneling waves. Impressive really! Steeve Jobs dies at the age of 56, at the top of a corporation that changed the world for ever. What A life! May he inspire us, here, in our forth-coming long and harsh battles to be fought… Let he be the beacon in our conquest of our new homeland.